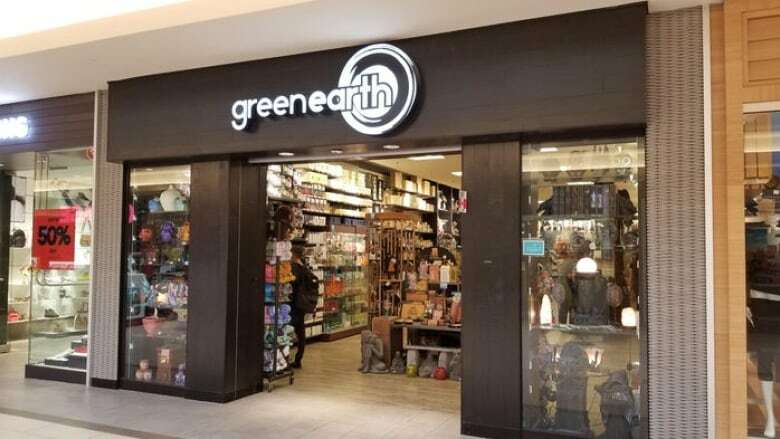 Ontario retailer Green Earth says it is going out of business and closing down all of its 29 locations across the province. The chain, founded in 1990 and based in London, sells collectibles, toys, candles, jewelry and other unique items, primarily in malls in mid-sized urban centres. As the case for many mall-dependent retailers, the chain has been hit hard by the growth of online shopping, where customers can order similar types of eclectic products, and have them delivered to their door. "After considering a number of restructuring options we have determined that this is the best course based on an array of business challenges," Matthew McBride of Green Earth said in a press release this week. The chain filed a notice of intent under Canada's Bankruptcy and Insolvency Act earlier this month, as a first step in liquidating itself, including selling off $16 million worth of its inventory at deeply discounted prices. Furniture, equipment and fixtures are also up for sale. "Our stores are really well known in the local markets where we have served our communities for years. The sale provides an opportunity for our loyal customers to buy products at compelling discounts," McBride said. "A sale like this is unprecedented in Green Earth's history. We encourage customers to take advantage while selection is best."